Archery is an ancient technique, with the main purpose, was used during battles but is still popular today. There are many people who are fascinated by archery. Today archery is mostly confined to the sporting arenas but there was a time when it played a very vital role on the battlefield. There are innumerable stories about great archers in the ancient civilizations of Egypt, India, Greece, and Persia. These archers are revered even today. Archery equipment consists of bows and arrows. Studies have shown that the bows were developed in either early Mesolithic age or late Paleolithic age. Earlier pines were used for making arrows but later different materials started to be used for the construction of the arrows. The archery equipment should be properly constructed and the material used should be of fine quality. If the bows are not proper then the archer will face difficulties in mounting the arrow. The arrows should be such that it is easily mountable on the bows. If the arrows are not properly mounted then the archer won’t be able to properly shoot the target. The bows commonly used are the longbow, shortbow, flatbow, recurve bow, crossbow and compound bow. Longbow, as the name suggests, is very long; the length of the bow is equal to the height of the user and in some cases even exceeds the height of the user. The limb of the Flatbow is wider and the cross-section is rectangular in shape. Shortbow is shorter in length; it is lightweight and has a short range. It was basically used for hunting purpose. In crossbow, the limbs are mounted in a horizontal manner and not in a vertical manner. The compound bow is designed in such as manner that the archer is at his ease while mounting the bow. Shaft, arrowheads, nock, and fletching constitute an archery arrow. 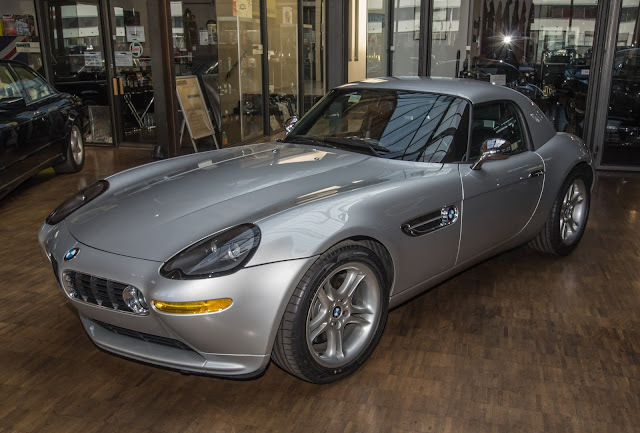 Aluminum alloy, carbon fiber, wood, and fiberglass are used for the construction of the shaft. If the material is too heavy or too brittle then it should be discarded. The shaft should not be too flexible; it should be straight and easy to handle. At present arrows made of carbon, alloys are popular and are being widely used by the archers. 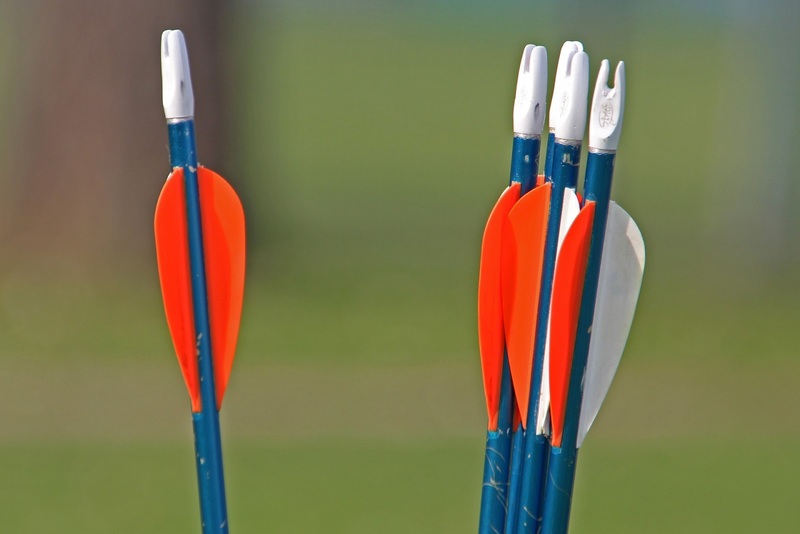 In fact, arrows used in popular sports events like Olympic are made of carbon alloys. Archery equipment should be such that when an archer shoots an arrow the target should not be missed owing to air pressure. So it is important that the arrowhead and the fletching should be properly designed using a fine material. The arrowhead and the fletching provide balance to the arrows. The fletching is generally made of plastic or bird feathers. Fletching is at the rear end of the arrow and it helps in the projectile motion of the arrow. While shooting the arrow the archer needs to have proper physical balance. The posture of the body, the eye and the way the archer is holding the bow should be proper. Proper archery equipment is needed for better archery. Never comprise with the quality of the equipment. Archery is the skill of shooting arrows from a bow at a target. The individual scores are counted in the game and the archer with the highest total is declared the winner of the competition. There are two types of archeries the Target Archery and the Field Archery. This entails shooting at one target from different distances. The Field archery is different from the Target Archery. It involves moving around a track, shooting at different sized targets from the distance that is unknown. If you want to learn about Archery Target, browse the website for more information. It is interesting knowing about the archery target. 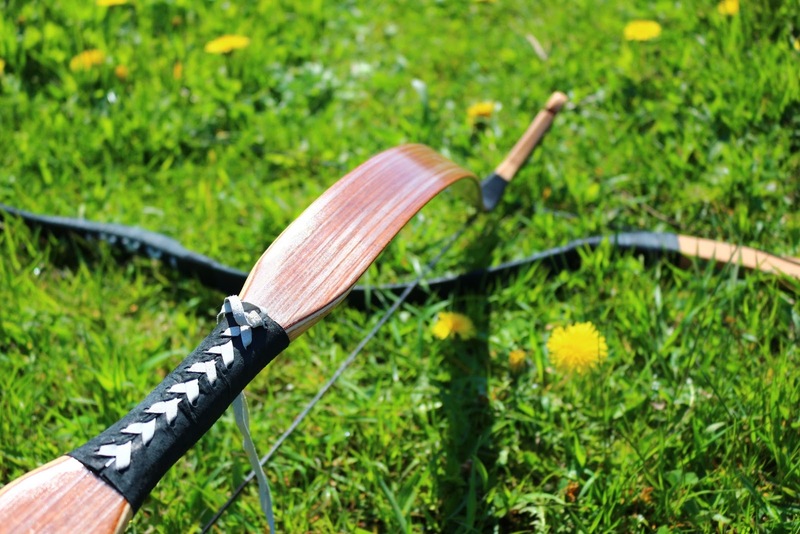 Bows are used to achieve the target in the archery. These bows are made of materials like fiberglass, carbon and they have a sight and stabilizers. The stabilizers are connected to the bow to help keep it stable while shooting. Generally, bows are used in the field archery. Arrows hold a pointed metal tilt at the front and a furrow at the back, which makes a hole over the bowstring. The targets or butts are made of straw wires that are connected together. Canvas targets or the colored papers are joined to the targets. 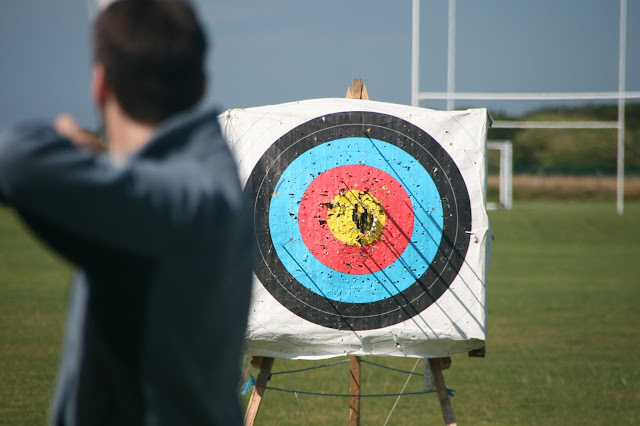 To meet the archery target, a competitor has to shoot at the goal from diverse distances. 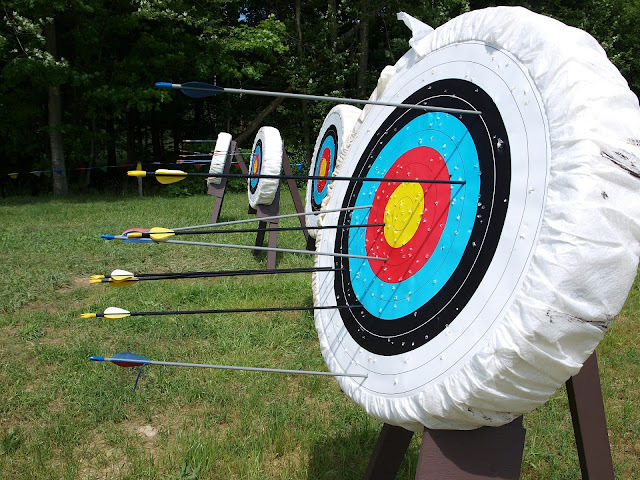 There are two types of archery targets Out Door archery and In-Door archery. The diameters of the standard faces in the outdoor archery are approximately 122 cm and 80 cm. the 122 cm face is collected of a loop in the center of 24.4 cm diameter, which is circled by four concentric bands. The 80 cm face is composed of around in the center of 16 cm diameter and it is also circled by four concentric bands. The width of each circle is around eight cm. Both the target faces are colored from the middle outwards in gold, red, blue, black and white. The center of the gold is known as the pinhole, it should be marked with a tiny cross, and its lines should not surpass 2 mm in width. The archery targets should be set up at one end of the ground. These targets should be appropriate at an angle of around 15 degrees and there should be pinholes 130 cm + 5 cm above the land. The altitude of the pinhole on a line of faces should be straight while looking at any time. All the archery targets should be visibly numbered and the shooting line should be exact because over this line the archers will take up the shooting position. The shooting marks including discs and flat markers should be placed opposite the targets at the proper distances. These shooting marks are used to consider the number of the target. A waiting line should be painted five yards behind the shooting line. The area on the ground where the people have right to enter should be roped off to point out that people are not allowed to pass the border. This will help the shooter to achieve his archery target and he will not get disturbed. Archery has helped in shaping the human civilization. Archers have fought many wars and have helped in shaping human civilization. Since ages people have used bows and arrows to conquer their enemy and to tame wild animals. Bows and arrows are an indispensable part of archery. It helps an archer in properly aiming at the target and shooting the arrow. If the bows are not proper then the archer will face difficulties in mounting the arrow. If the arrows are not properly mounted then the archer won’t be able to properly shoot the target. The archery bows commonly used are longbow, shortbow, flatbow, recurve bow, crossbow and compound bow. Longbow, as the name suggests, is very long; the length of the bow is equal to the height of the user and in some cases even exceeds the height of the user. The limb of the Flatbow is wider and the cross-section is rectangular in shape. Shortbow is shorter in length; it is lightweight and has a short range. It was basically used for hunting purpose. In crossbow, the limbs are mounted in a horizontal manner and not in a vertical manner. The compound bow is designed in such as manner that the archer is at his ease while mounting the bow. In this activity, archery arrows play a very vital role. Shaft, arrowheads, nock, and fletching constitute an arrow. Aluminum alloy, carbon fiber, wood, and fiberglass are used for the construction of the shaft. Each material has its own advantages and disadvantages. For example, arrows made up of fiberglass can break soon. While selecting any material as a shaft for archery arrows the weight of the material and their strength should be given importance. The shaft should not be too flexible; it should be straight and easy to handle. At present arrows made of carbon, alloys are popular and are being widely used by the archers. In fact, arrows used in popular sports events like Olympic are made of carbon alloys. The arrowhead of archery arrows needs to be made of some hard materials like metals. The arrowheads heads play a pivotal role in shooting the target. Fletching provides balance to the arrows; it is generally made of plastic or bird feathers. Fletching is at the rear end of the arrow and it helps in the projectile motion of the arrow. In order to properly shoot an arrow, the archer has to maintain a proper stance. The posture of the body, the eye and the way the archer is holding the bow should be proper. Today archery has become a sporting activity; some even use it for recreational purposes. Proper knowledge of archery arrows will have those individuals who want to learn archery. This game is categorized into two types i.e. field and target. The player shoots the arrow from various distances at one target in archery targets and in field archery, the players are allowed to move around in the course and shoot at the targets of various sizes from various distances. The bows that are used in the later type of this game have a traditional look. 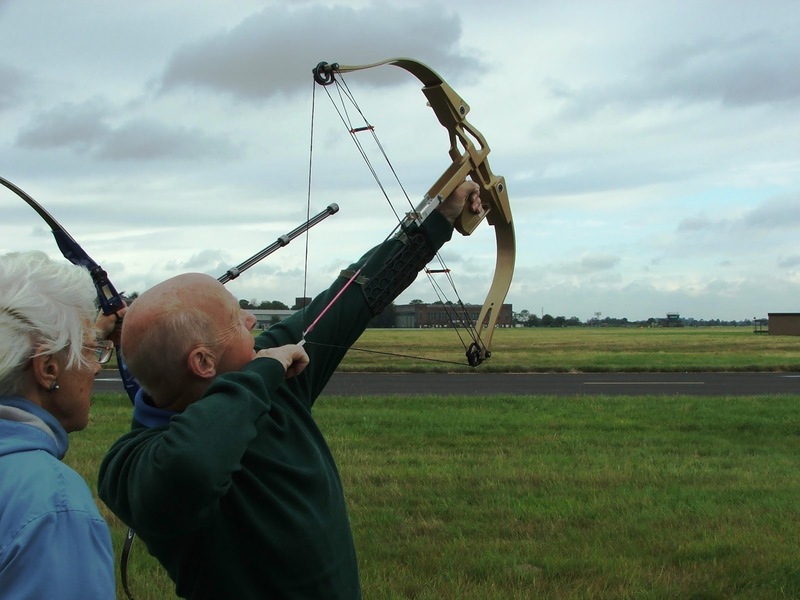 The adventurous archery targets involve many rules that need to be followed by the players or the shooters. During the competitions, the players can use any other bow except the crossbow. One of the rules of the game also specifies that every player should have a different colored crest on his/her arrows as a sign of identification. The arrows can only be shot when the player is given the signals. The 3D archery targets will add a lot of excitement to the game. These types of targets are available in the market and can be used by the beginners as well as the expert shooters. These archery targets can be made at home also by using corrugated cardboard, cording, foam padding, 2x4 wooden boards, excelsior etc. Archery has been the part of human civilization for ages; in fact, archery was extensively used in wars and for hunting. Ancient civilizations like Egyptian, Indian, Greek, and Persian boasts of great archers. These archers are still remembered and revered. Bows are an indispensable part of archery. It helps an archer in properly aiming at the target and shooting the arrow. If the bows are not proper then the archer will face difficulties in mounting the arrow. If the arrows are not properly mounted then the archer won’t be able to properly shoot the target. The archery bows commonly used are: longbow, shortbow, flatbow, recurve bow, crossbow and compound bow. Longbow, as the name suggests, is very long; the length of the bow is equal to the height of the user and in some cases even exceeds the height of the user. The limb of the Flatbow is wider and the cross-section is rectangular in shape. Shortbow is shorter in length; it is lightweight and has a short range. It was basically used for hunting purpose. In crossbow, the limbs are mounted in a horizontal manner and not in a vertical manner. The compound bow is designed in such as manner that the archer is at his ease while mounting the bow. The arrow which is used along with the bow should also be made up of proper material and should be properly designed. The shaft used for making arrow should be of good material. The arrowhead which is at the front portion of the arrow directly points and hit the target. These arrowheads which are made of metals or some other materials are used to target points. In order to properly shoot an arrow, the archer has to maintain the correct stance. The posture of the body, the eye and the way the archer is holding the bow should be in line. Sight shooting and instinctive shooting are the two methods adopted by an archer while shooting an arrow. In instinctive shooting, the archer has to completely concentrate on the target while shooting the arrow. It requires a lot of practice. Whereas in case of sight shooting the archer can adjust the pins which are there on the bows to target an object, this is relatively easy. Previously instinctive shooting was the norm but at present sight, shooting is more preferred. The firearms displaced archery as it had many advantages over bows and arrows. They had long range, they were more lethal, using them did not require lots of training and no major skill was required to use these weapons. Today archery has become a sporting activity; some even use it for recreational purposes. In sports too the archery bows used are different but there are set of guidelines provided by International Archery Federation regarding archery bows. Proper knowledge of archery bows and archery arrows will have those desirous of learning archery. The heroic effort of archers at the battlefield helped several kingdoms win wars. Archery although obsolete today has helped men since ages. Since ages people have used archery to conquer their enemy and to tame wild animals. Studies have shown that archery was widely being used in ancient civilization. Archery history shows that earlier arrows were made of pines which had a long fore shaft that had a flint point. Till date, archaeologists have found the oldest bow in Denmark. Arrow shafts have been found in many places across the globe in Egypt, Sweden, Denmark and India. Bows and arrows are the main constituents of archery. Archery history reveals the fact that the bows were developed in either early Mesolithic age or late Paleolithic age. Pines were used for making arrows. Archery was highly developed in Asia and other Islamic kingdoms. People were specially trained in archery; these archers were used in the battlefields. In fact before the development of firearms archery served as primary weapons. Different types of bows and arrows were manufactured and accordingly they had different range. The archery history is full with saga of great archers. These archers have played a major role in the ancient civilizations of Egypt, India, Greece and Persia. The archery bows which were commonly used were: longbow, shortbow, flatbow, recurve bow, crossbow and compound bow. Longbows were very long bow. The length generally matched the height of the archer and in some cases even exceeded the height of the archer. The limb of the Flatbow is wider and the cross-section is rectangular in shape. Shortbow is shorter in length, is light-weight and have a short range. It was basically used for hunting purpose. In crossbow the limbs are mounted in a horizontal manner and not in a vertical manner. The compound bow is designed in such as manner that the archer is at his ease while mounting the bow. Shaft, arrowheads, nock and fletching constitute an arrow. Aluminum alloy, carbon fiber, wood and fiberglass are used for the construction of the shaft. The shaft should not be too flexible; it should be straight and easy to handle. At present arrows made of carbon alloys are popular and are being widely used by the archers. In fact arrows used in popular sports events like Olympic are made of carbon alloys. Sight shooting and instinctive shooting are the two methods adopted by an archer while shooting an arrow. In instinctive shooting the archer completely concentrates on the target while shooting the arrow. It requires a lot of practice; this method of archery was popular during the early phases. However, later bows with adjustable pins were developed; these pins could be adjusted by the archers to aim a target. This is called as sight shooting and is easy as compared to instinctive shooting. Later when the firearms were developed it replaced archery. Firearms were found to be superior to archery; it was more lethal, it had long range and also using it wasn’t too difficult. In fact hose kingdoms which did not know to use firearms had to suffer heavily on the battlefield. Archery history indicates that men since time-immemorial have been devising ways to lord over others.